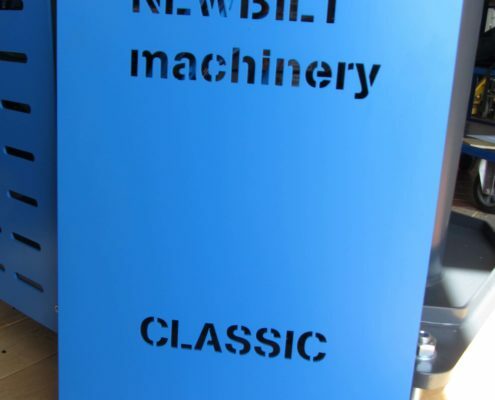 is equipped with specially designed NEWBILT Molds . The Mold geometry is optimized in cross section and diameter to ensure optimum cooling/heating performance and process controllability. uses NEWBILTS certified insulation technology to achieve maximum controllability and thermal performance throughout its uptimes. The built-in-extruder is based on the already proven NEWBILT extruder design. material with homogeneous temperature distribution. Even 180 gramm records are produced in 28 seconds. 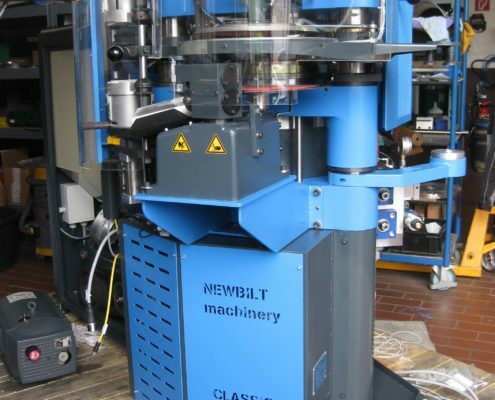 The NEWBILT Duplex system comprises of two presses and one extruder. Linked through a state of the art control system and based on a proven design, we use modern technology to further boost cycle time, reliability and quality. This also helps reducing the environmental impact. The cycle time depends on various factors, starting with raw material composition and ending with environmental conditions. Our experience show that on average a cycle time of 30 seconds is a reasonable calculation basis. 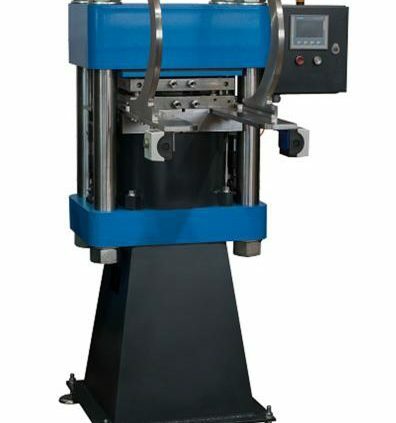 The press is a modern four column design using book mould technology. 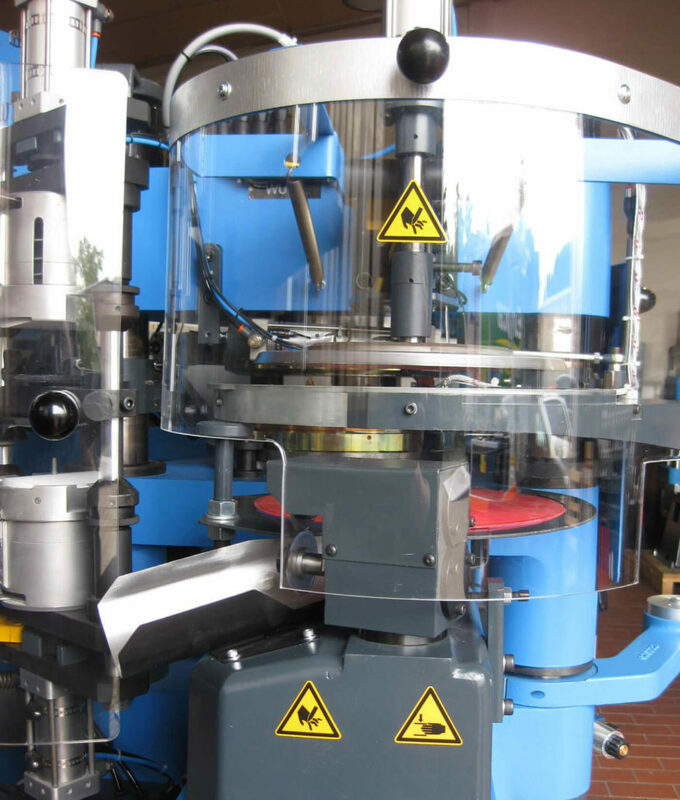 This half automatic machine is an allrounder in vinyl record production. 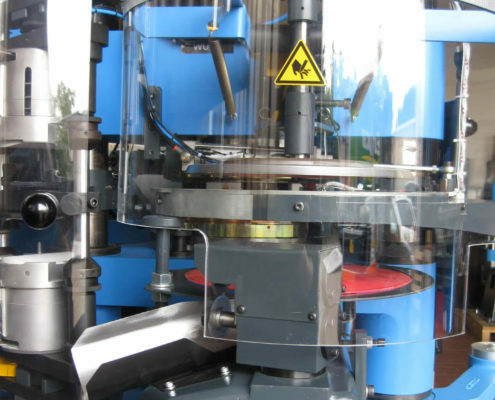 You can produce records of various weights and colors and even picture discs. 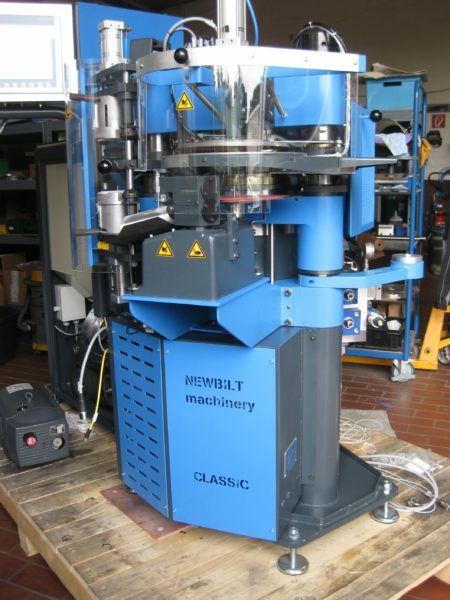 This machine is capable of running at high capacities but also excels when high quality pressings is needed. 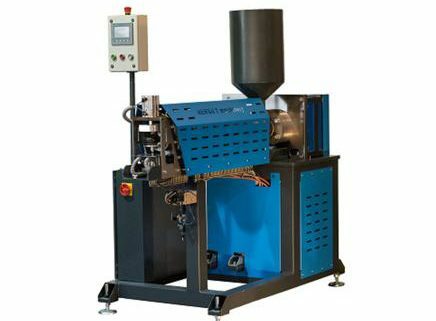 The extruder design uses modern coatings and control software to ensure a constant PVC-cake quality throughout the production cycle. The extrusion process is easy and finely controllable. This is ensured by an independent three zone electrical heating system and a two zone air cooling system. 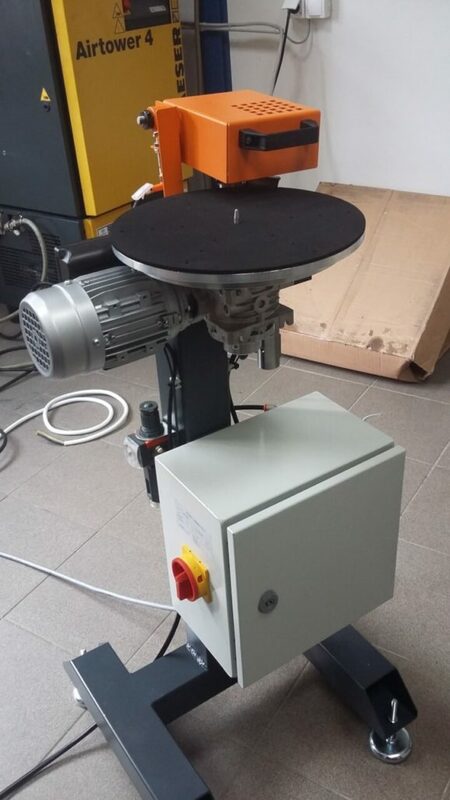 The extruder screw diameter is carefully matched with the screw length and geometry. This design is optimized to ensure a gentle extruding of the PVC material with even temperature distribution. 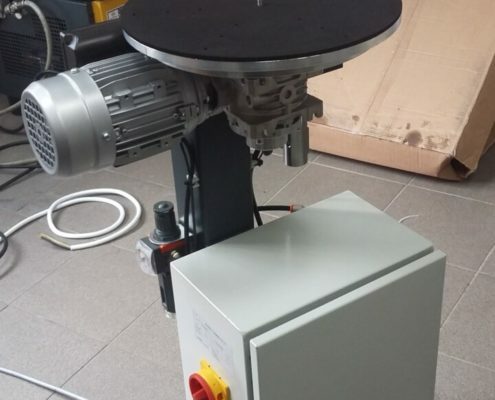 We developed new electro plating equipment! The complete portfolio will be presented here soon. Please contact us for more information in the meantime! If you want to start your own record production or maybe improve your existing plant, we can offer you steam water boiler systems that are specially tailored to your production setup. They can be modified to your individual needs and production set up. 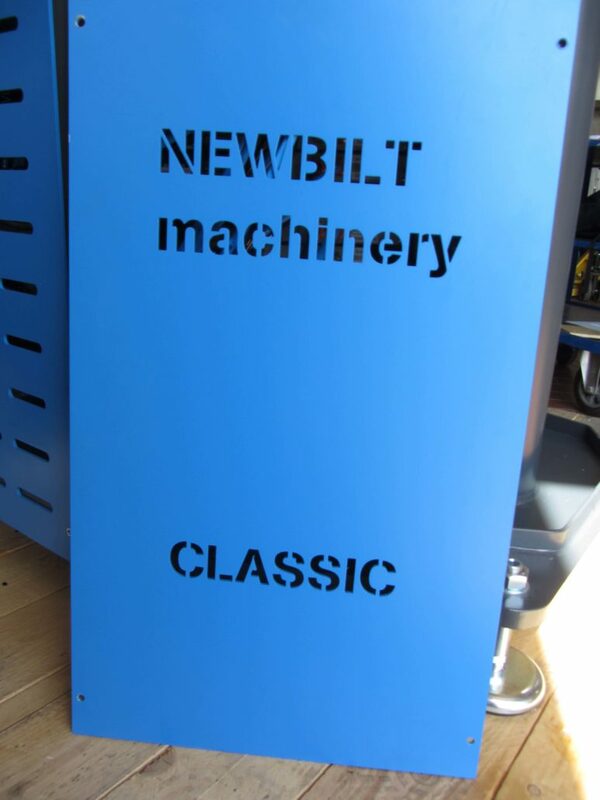 Here, we combine both the knowledge and experience of NEWBILT and carefully chosen cooperation partners. Easy to use and robust record trimmer that meets the highest demands regarding quality, efficiency and durability. Based on proven Toolex Alpha cutting knife technology and smooth vacuum fixation system, the record trimmer is adjustable for 7”, 10” and 12” trimming. 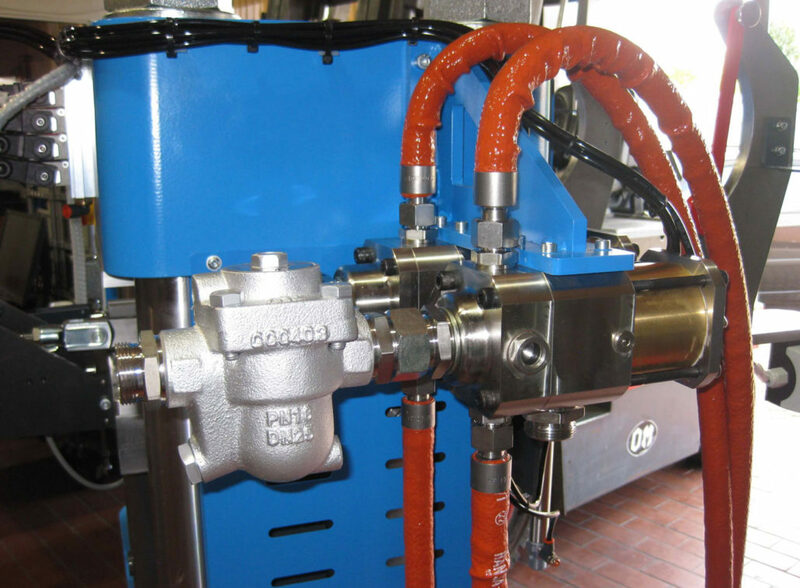 High Speed Steam / Water Valves are essential for continuous perfect quality. 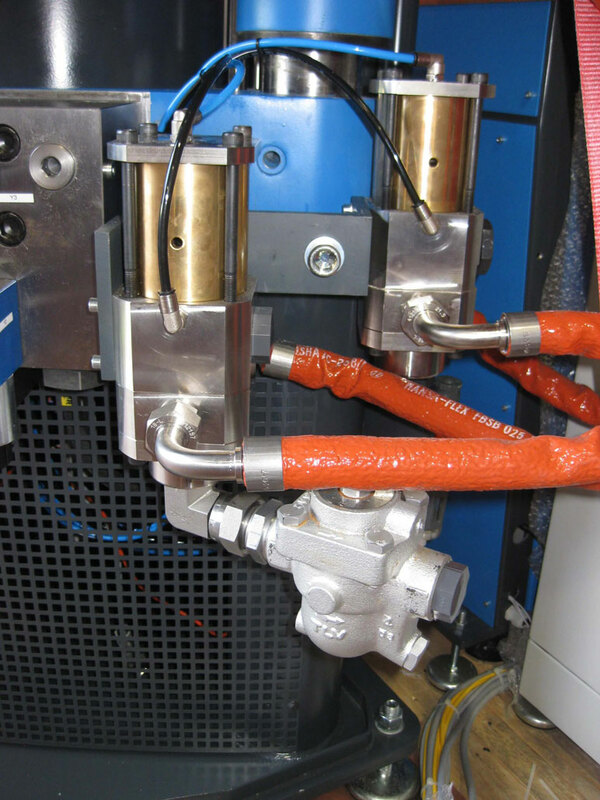 Cross section, flange diameters and inner flow guidance are carefully matched and fine tuned to maximize process controllability and minimize cycle time.